Last night I braved the elements with my family to pop down to St mawgan village for the carol singing with the St Dennis silver band. Freezing cold temperatures and torrential rain didn't stop the festivities and although the evening was cut short by a few songs, Father Christmas arrived on his sleigh with his trusty reindeer/donkey steed and everyone had a great night. 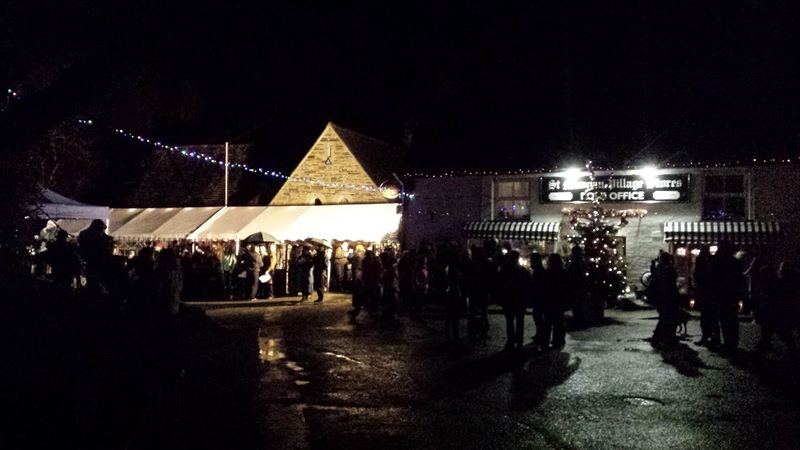 The village looked stunning with beautiful Christmas lights around the church and village store and a giant tree in the heart of the village, with the mulled wine and mince pies flowing the weather was not going to stop this event in the heart of the community from going ahead.